A boy has as many sisters as brothers, but each sister has only half as many sisters as brothers. 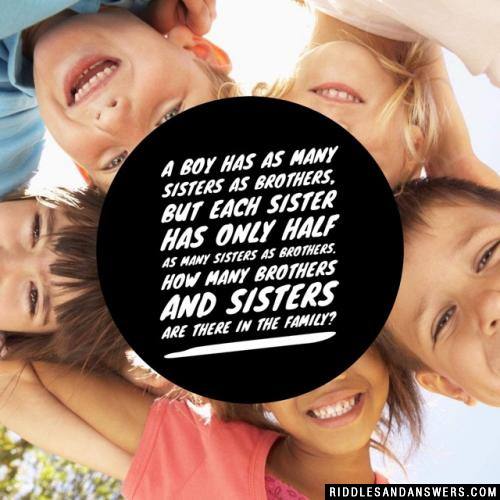 How many brothers and sisters are there in the family? Every boy will have 3 brothers and 3 sisters. Every girl will have 4 brothers and 2 (half of the number of brothers) sisters.